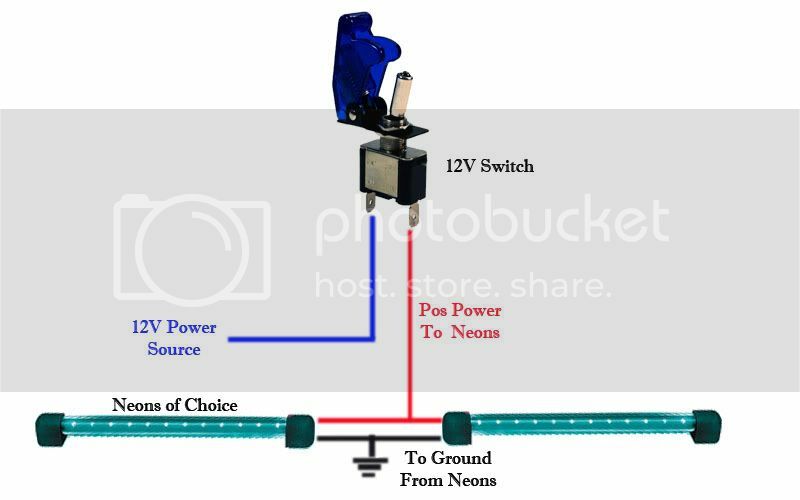 Please do NOT ask me where to get bulbs from or what size to get or anything like that, everything you need in in this write-up, including direct links to what products to get. If you are too lazy so as to not read the whole thing and figure out what you need, you don't deserve it. 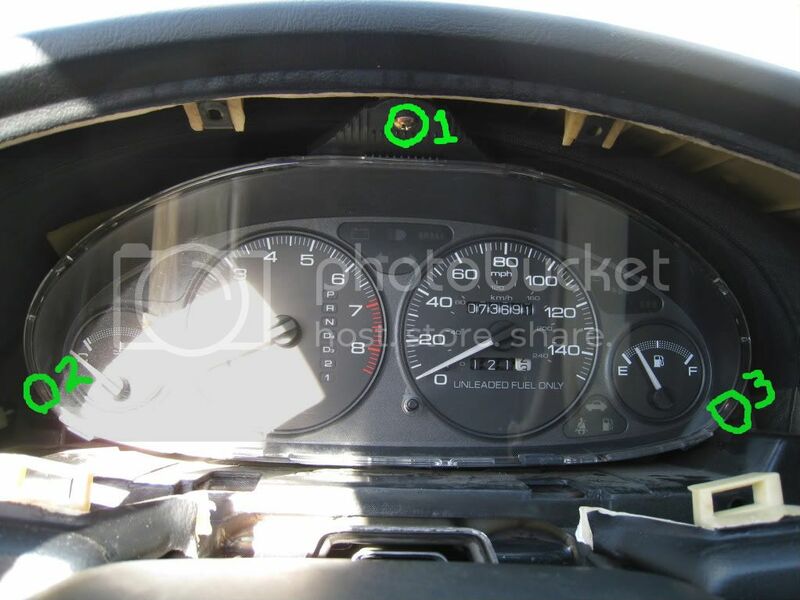 Alrighty, well since I've been getting a lot of questions about both recently I decided to put up my first DIY, on how to change the gauge cluster lights, climate control lights, as well as a quick explanation of how to install under dash neons. All are relatively easy to do, but can make a HUGE difference in how your car looks, can help set you apart from what everyone else is doing, and add just that much more personality to your car. Enjoy! 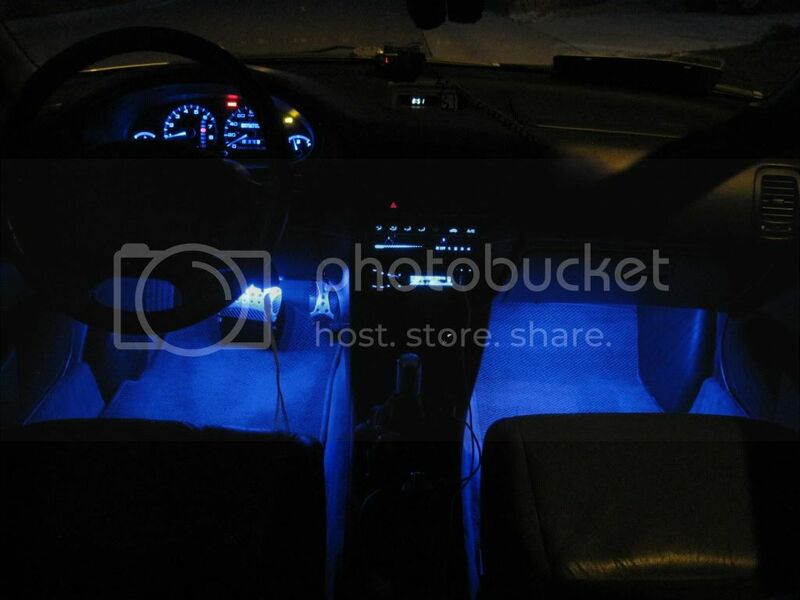 - 3 of your choice of 194 size leds. For mine, 3 blue WLED-xHP5 from superbrightleds.com will be used. 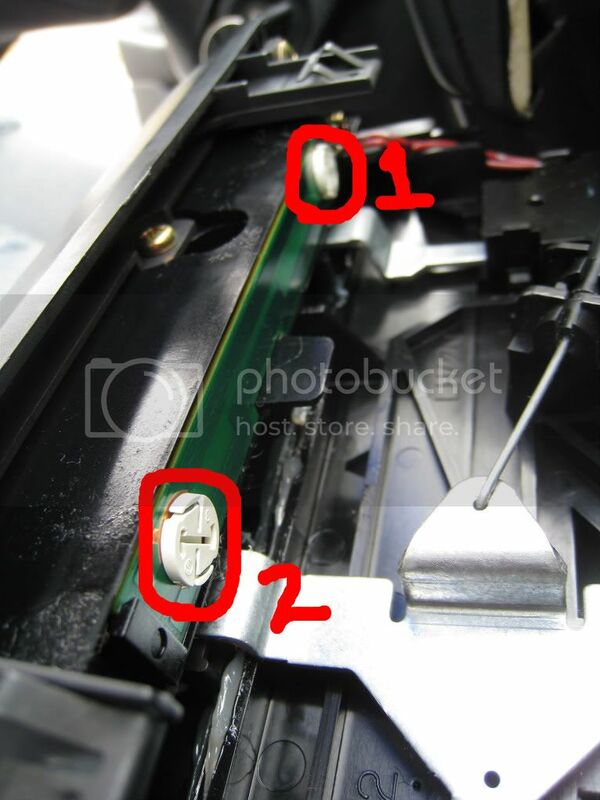 With the frame out of the way, you can proceed to unscrew screws 1,2 and 3 from the cluster itself. Once unscrewed, pull the cluster out towards you, and turn it about 90 degrees counter-clockwise, giving you access to the entire backside of the cluster. 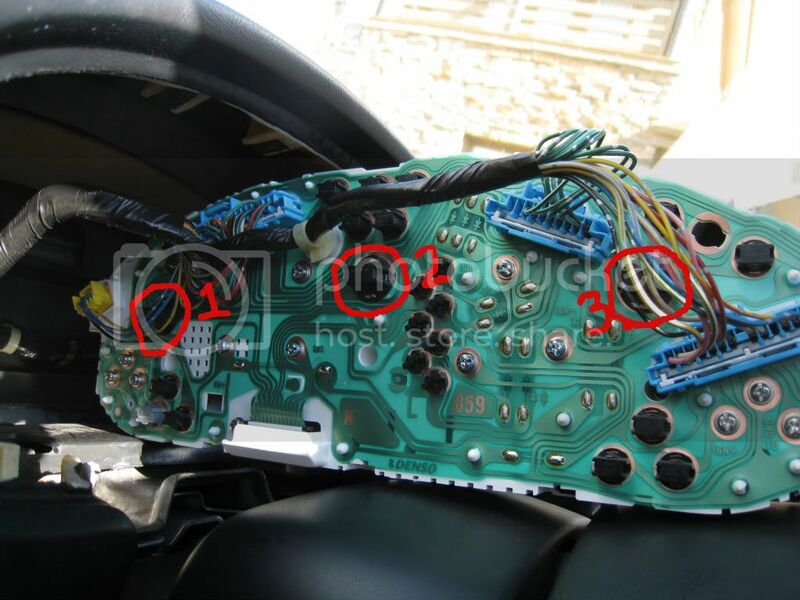 Now, if you don't want to change your needle color, you don't even need to unplug the cluster, all you have to do is turn knobs 1,2 and 3 counter-clockwise, and replace your old bulbs with your new leds. Once they are all back in place, turn on your lights to make sure that all 3 are working. If one or more are not, just remove the suspect knob(s) again, and turn the knob around 180 degrees, and then put it back in. If it still doesn't work after this, you have a problem lol. Then all that's left to do is put it all back together!! Done!! -4 of your choice of color 4mm twist lock instrument bulbs (NEO4-xHP- http://www.superbrightleds.com/cgi-bin/store/index.cgi?action=DispPage&Page2Disp=/specs/NEO.htm#photos) Use these bulbs if you used the neo wedge 5 way bulbs I used above for 100% matching colors to make it look that much better! 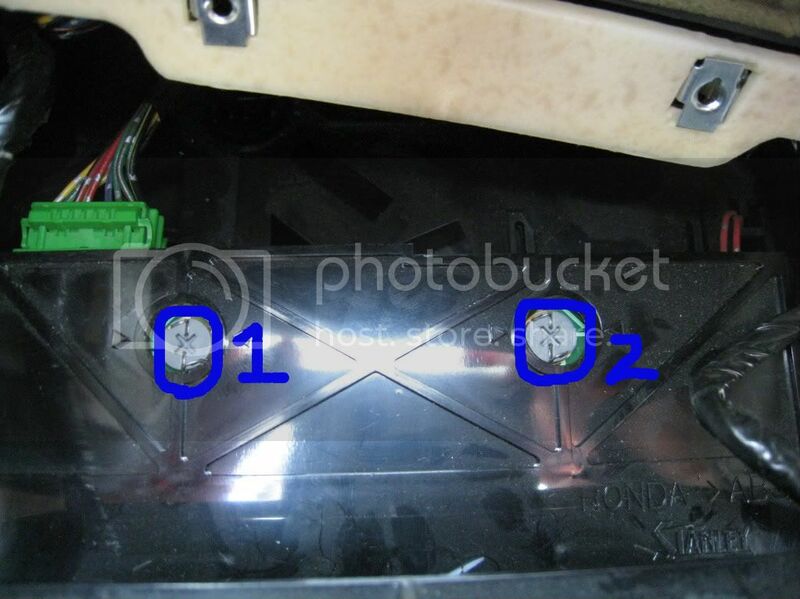 -1-4, 3mm twist lock instrument bulbs (NEO3-xHP, same address as above.) The number you choose is dependent on if you want to put a bulb in the hazard button or not, as well as if you want to do the cruise control button. I opted not to change the hazard to retain the red glow it gives off factory. 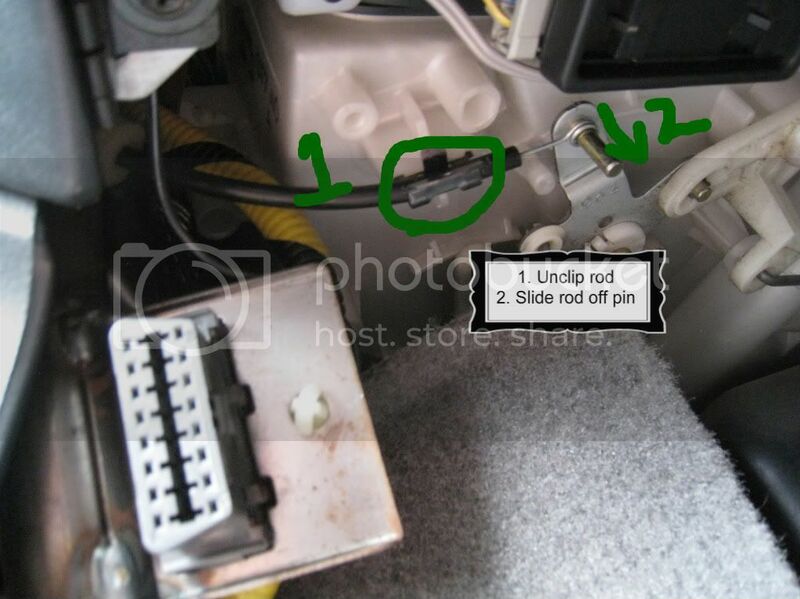 Alright, first thing you will need to do is remove the rod connecting the climate control slider to the thermostat by first unclipping the bracket it is in, and them sliding the rod off the pin. Now with that out of the way, you will need to remove the hazard and rear window defroster buttons from the climate control, this is best done by wedging a flat head on the bottom of the button and carefully working it out of the hole. There are two clips on the buttons, one on either side. 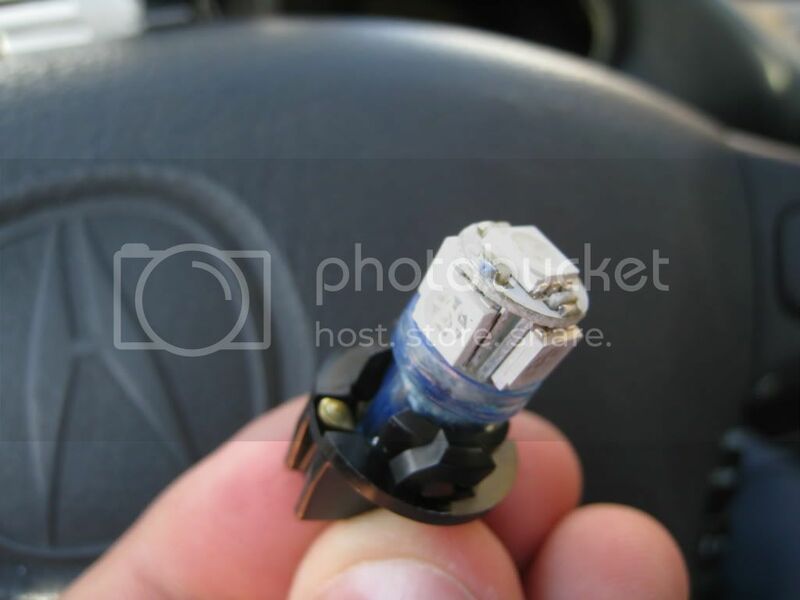 Be VERY careful while doing this, as they are easy to break, and expensive to replace. 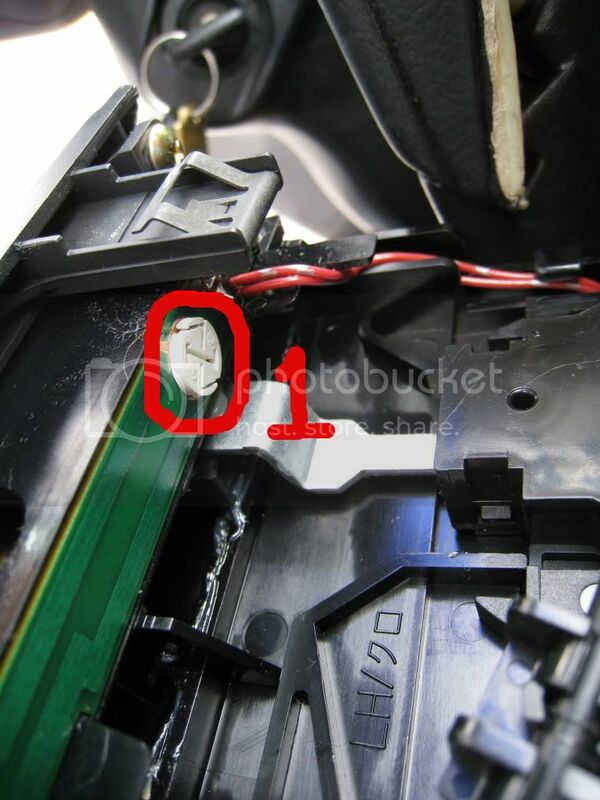 Once those are out and unplugged, you will see the small led on each button. All you have to do is unscrew it, pop it out, and put your new one in. 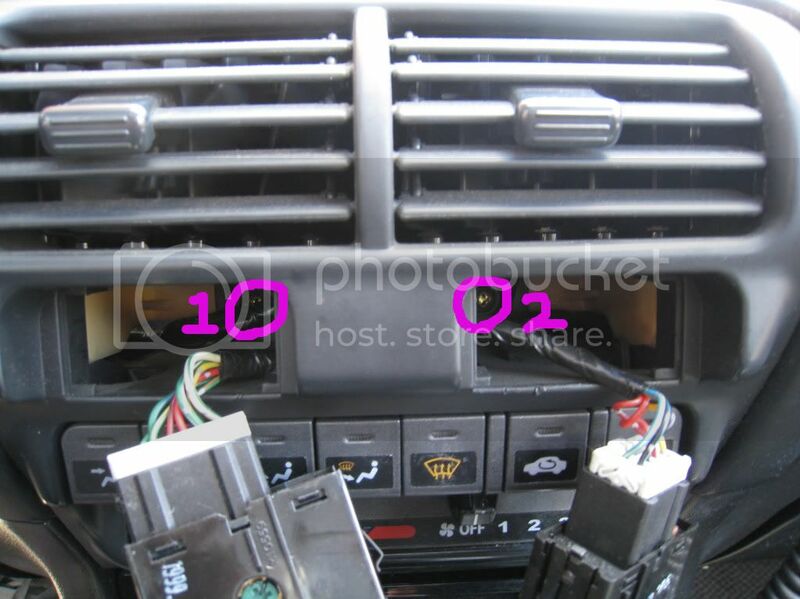 Next, you need to unscrew the two screws in the back of the climate control unit. Be careful you don't lose these! Then all that's left to do is hook it all back up and make sure they work! Be sure to route the slider rod back down the way it came. 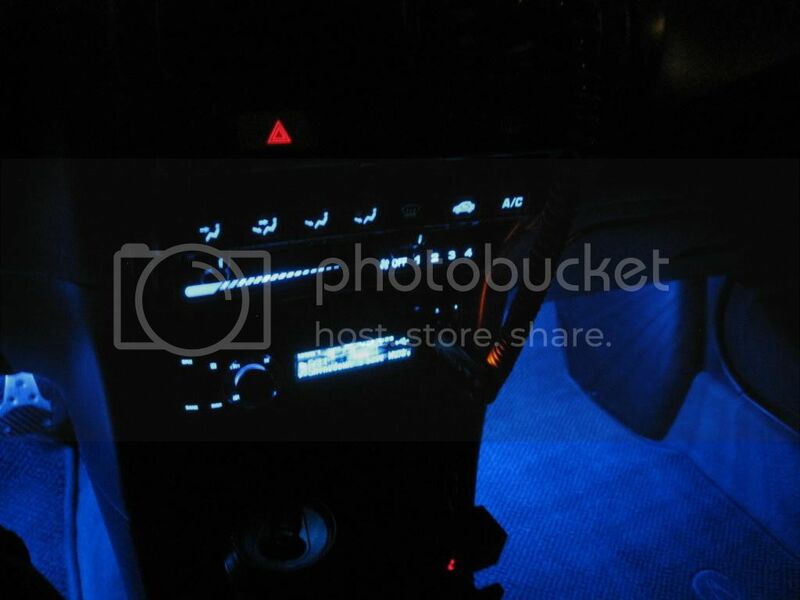 Lastly, the climate control button lights. 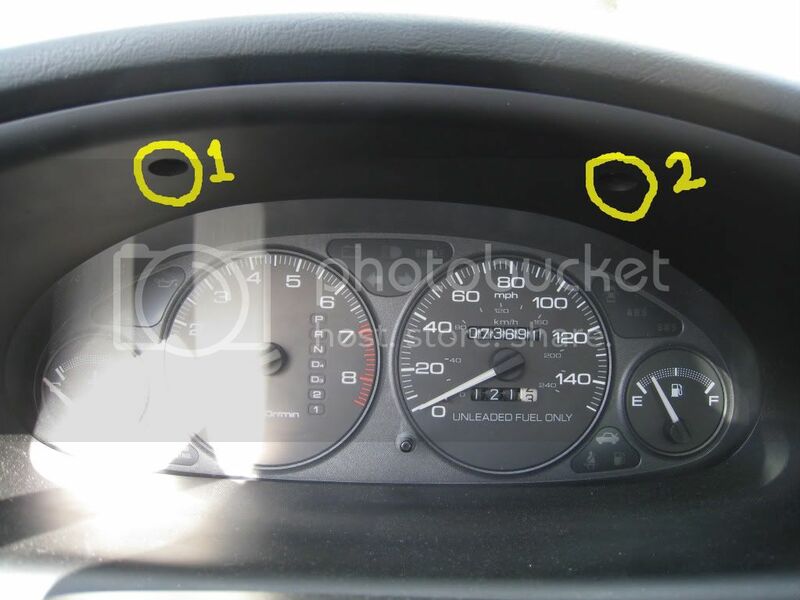 Remove the gauge cluster bezel as shown above, and carefully pop out the switch. From there, you should see two bulbs in there to replace. As with everything else, unscrew them, and put in your new 3mm lights. 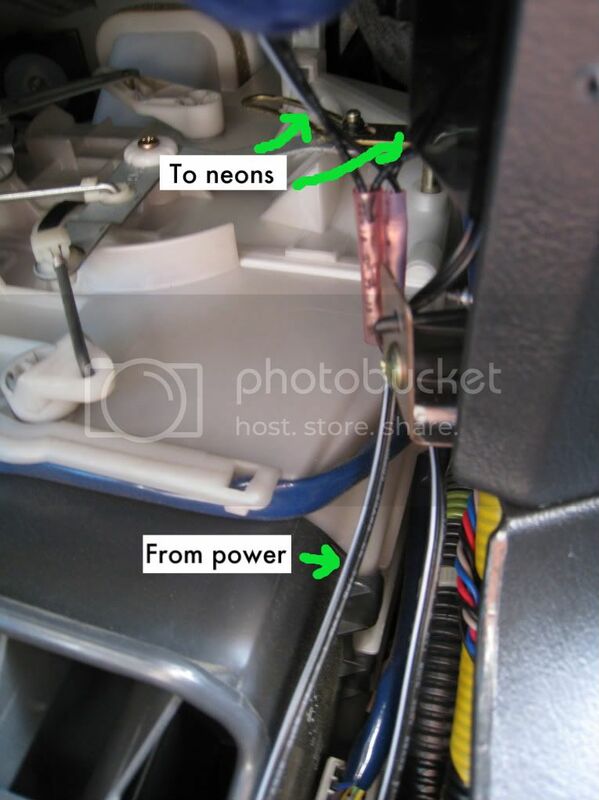 As I said, have the positive wire of your neons connected to the positive power source, (In my case the 12V trigger on my amp) and the negative of the neons to the ground. The switch then completes the circuit when switched on, hence turning on the lights. This is just how I did it, but as stated, there are many other ways of doing this. 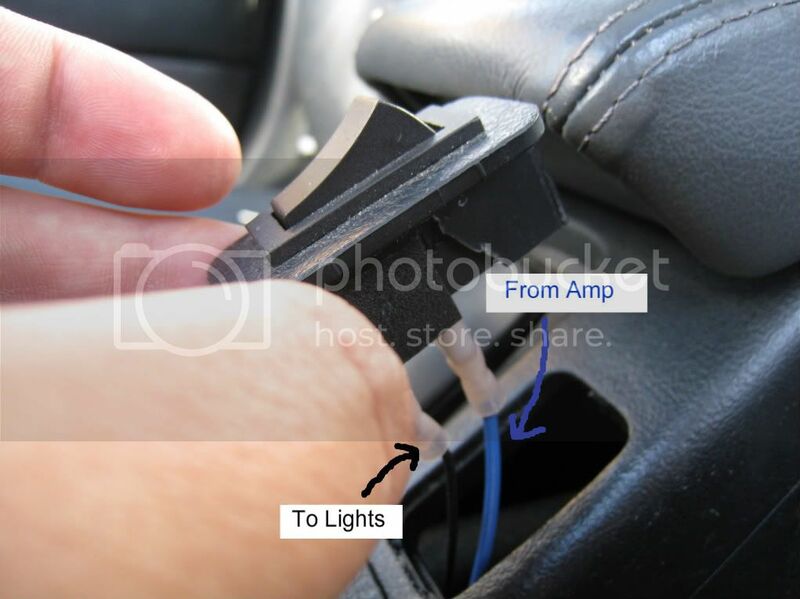 You could wire it to your 12V power outlet or, if you're creative, wire it so that they turn on when you turn on your headlights. There are more ways than that, but just a few ideas. Get creative with it!!! Now all that's left to do is tie up your new lights so they aren't flopping around everywhere. Hope this helps! Any questions please feel free to ask. if you dont mind me asking what color are your needles? its a good write-up! thanks klutch! Adding this to the "DIY List". 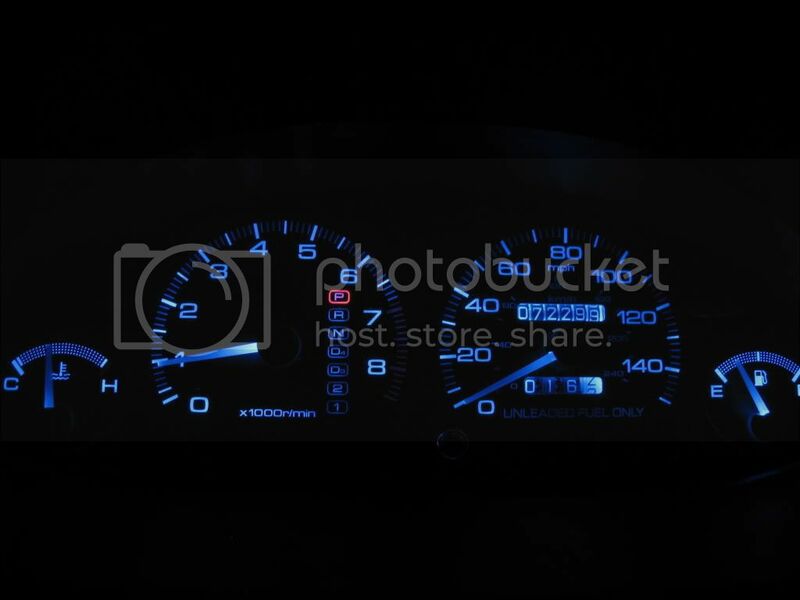 I would just like to add though, if you are doing this on a second gen, to get the cluster to pull out you will have to unhook the speedometer cable from the transmission and feed it into the firewall, it might take someone pulling on the cluster while you push the cable through. you should show where screws 1,2,3 and knobs 1,2,3 are. other than that its a good write-up! thanks klutch! I'll add that in there in a sec. Are you not able to see the illustrations either?... I can see them on my computer.. 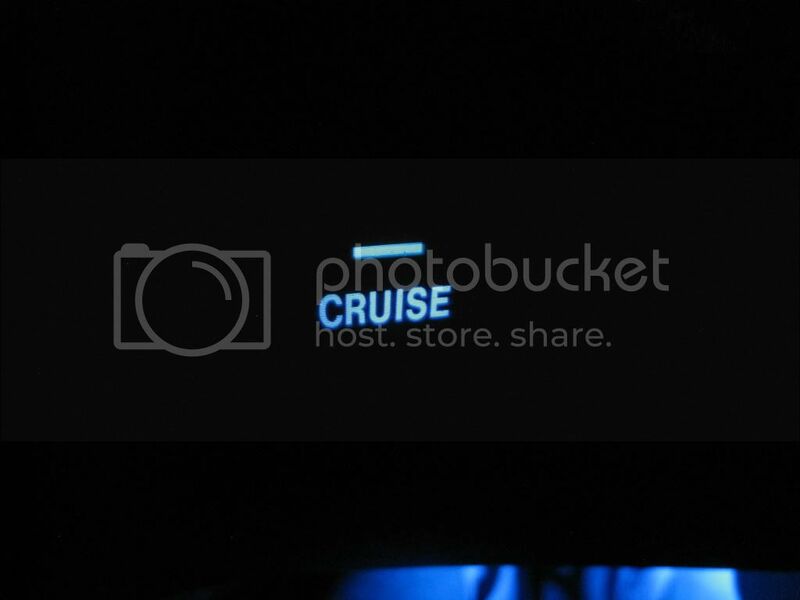 If you look at my photobucket, you can probably see them on there. If any other people have an issue seeing the illustrations on all instructional photos, please let me know and I will re-edit them in photoshop and post them again..